Julie-Anne and Quinn set out to plan a weekend full of adventure for their guests at OVY Camp & Event Center in San Gregorio. The venue is set on hundreds of acres of forests with hiking trails, creeks, and redwoods galore! Laura and Nick! One of my favorite weekends of the year. This wedding was a dream. The sweetest lovebirds, the best family, amazing weather, incredible music, endless cocktails and endless grub. What more could you ask for for your wedding weekend? Rachel and Tim. Two of the world’s sweetest and most genuine humans I’ve ever planned for. These two came to me all the way from DC. We planned and designed their entire wedding while across the country from one another. The weekend went off without a hitch! One of my favorites to design! 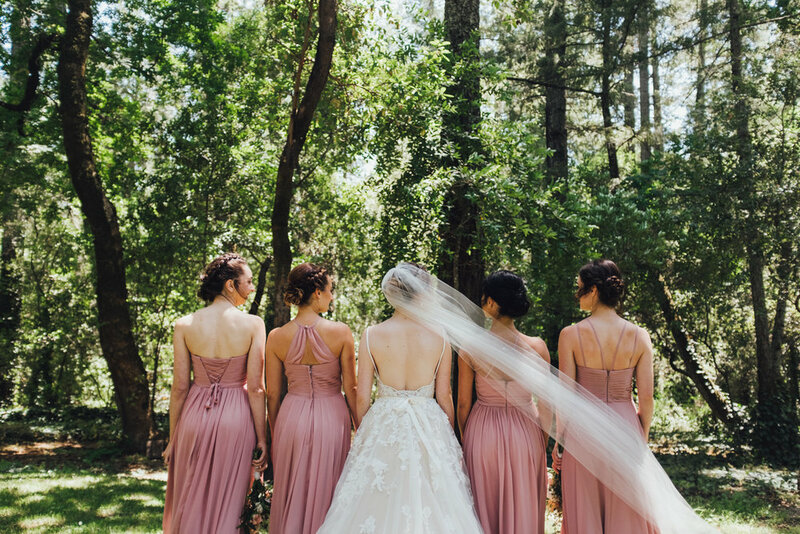 We were working with such a rich and moody color palette mixed with the summer heat and rolling hills in Boonville, CA. Our venue was the Bell Valley Retreat at The Tollhouse. Our backdrop, pure California gold. Jillie, a real life ballerina and Michael, a tough businessman with a weakness for his ballerina, came to me only about 6 months out from their desired wedding date. Jillie wanted a magical fairy garden and Michael wanted an outdoor space to dance the night away. I knew the place straightaway. I presented them with the Pythian House in Santa Rosa. Remember how fun summer camp was when you were a kid? Adrianne and Adam hosted an entire weekend of summer camp fun at OVY Camp in San Gregorio for their wedding this spring! They got married in a redwood grove and partied all night to their friend's live band. Rustic, sweet, and simple - this wedding was perfect from top to bottom. See for yourself thanks to Michael Porter Photography! I really do love it when dear friends ask me to be a part of their big days. We planned this baby in Sayulita, Mexico and it was THE BEST! You'll see the arrival of the guests, the zipline adventures, the chill time, the love time, the dance time, and the photo shoot we did the next day. So many things!